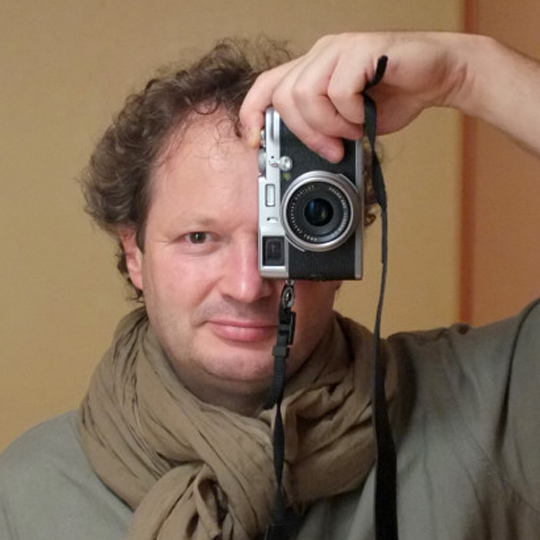 Marc Legroux, the author is a fiftieth photography enthusiast since age 12 years where a Kodak instamatic was offered. Having initiated the shooting and the black and white development, its author of work will start from 1983 to 1985 where for two and a half years he tirelessly photographed the daily lives of villagers Township Lakota Côte d ‘Ivoire where he works as part of a twinning between the town of Evron (53) and Lakota. Nicknamed the ethnologist, he will not cease to freeze moments of the culture of ethnic dida. This initiation period will be the foundation of his photographic work focuses primarily on humans. As many personal travel professionals will bring it to capture moments in Anjou, in France and Europe. The discovery of Asia: India, China, Nepal, Russia, Thailand will be very important moments that will be many photographic projects. – 2015: Claudine Doury – l’agence VU photographer. With Claudine, Marc chains the additional working sessions on writing and photographic series.